From creating striking brand presentation to enhancing the usability of your website, we will look after all your company's online needs! We combine ideas with innovative technology and the latest trends to ensure businesses gain maximum advantage in a rapidly evolving marketplace. We understand that brand identity and corporate image are highly effective marketing tools which is why we offer clever, creative and effective graphic design. DevStudios is a dynamic company of professionals offering responsive website design, quality hosting and online marketing expertise. We combine ideas with innovative technology and the latest trends to ensure businesses gain maximum advantage in a rapidly evolving marketplace. Our website templates are fully responsive content management systems and work with all modern browsers and smart devices. CONTACT US TODAY and let the experts look after all your online business needs! Our Website Templates have over 40+ Module Positions, 10 Color Styles, custom Typography and 9 module Suffix Variations that use beautiful fonts. 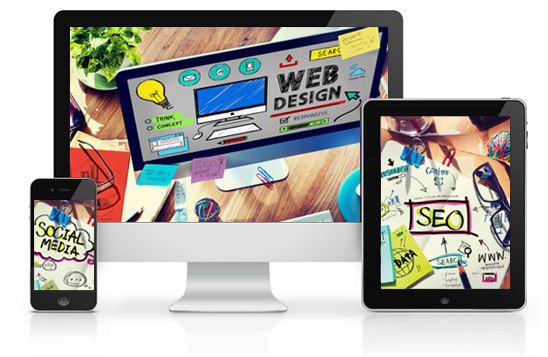 We design fully Responsive Templates that adapts perfectly for all device resolutions like mobiles, tablets and desktops. Our Web Design is HTM5 & CSS3 hand coded to be 100% compatible with Bootstrap, the great responsive framework used by Joomla!